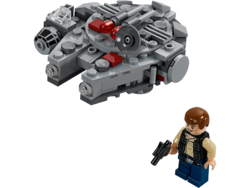 75030 Millennium Falcon is a Star Wars microfighter set released in 2014. This is a description taken from LEGO.com. Please do not modify it. 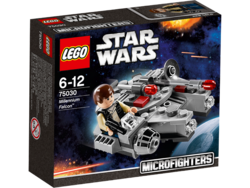 (visit this item's product page) Take on the Empire in miniature with the LEGO® Star Wars™ Millennium Falcon™ microfighter! 75193 Millennium Falcon, featuring a Chewbacca minifigure and a Sequel trilogy design. Facts about "75030 Millennium Falcon"